We are a group of natural medicine practitioners only 8 minutes drive from Strathmore. 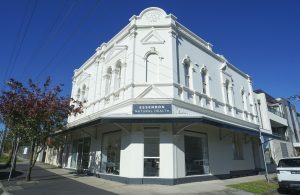 Located in Essendon, our clinic, Essendon Natural Health is a place for you to rest, restore and rejuvenate. We have sourced the most powerful natural medicine modalities and found some of the best practitioners in Melbourne. We are proud to offer the ultimate experience of health restoration and rejuvenation. If you’re looking for natural medicine close to Strathmore, you’ve come to the right place. What services do we offer near Strathmore? Our team of acupuncturists are equipped to help with a variety of conditions. Acupuncture is commonly used for pain, anxiety and stress but we also see other conditions. Our practice sees a lot of people with pregnancy related concerns, headaches, to ease the low back pain, sciatica pain and more. Learn more about acupuncture here. Our two Registered Acupuncturists and Herbalists are Robert Gentile (OMD) and Lachlan McDonald (OMD). Both acupuncture and Chinese herbal medicine are under the broad umbrella of Chinese medicine (TCM). At Essendon Natural Health we have registered practitioners in both acupuncture and Chinese herbal medicine. Within the initial intake, we’ll access your condition and be using Chinese medicine principles, develop a treatment plan which may include herbal medicine. If you have questions about the herbal medicine we use, just give us a call or send an email. To learn more, see our Chinese medicine page here or learn more about Chinese medicine from the Australian Acupuncture and Chinese Medicine Association here. We are fortunate to have our wonderful osteopaths, Dr Amy Ly and Dr Sonia Dolatian, here at Essendon Natural Health. Our practitioners are registered with APHRA and offer exceptional care for their patients. 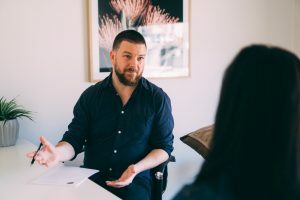 If you are suffering from pain or would like a structural assessment with a professional, make an appointment for osteopathy near Strathmore today. See more about Osteopathy here. We have a team of Naturopaths that look at health from a holistic perspective. Our Naturopaths, Madeline Sheppard and Natalie Earles, are experienced in working with a wide variety of complaints. Naturopathy takes into consideration your entire lifestyle and develops a treatment plan using diet, herbs, lifestyle changes to help you achieve your health goals. For more information about Naturopathy near Strathmore see our page here. Our wonderful Clinical Myotherapist, Esther Malone, has obtained the highest qualifications in myotherapy. She is experienced in working with a variety of musculoskeletal complaints using techniques such as deep tissue massage, joint mobilisation, dry needling, cupping, exercise prescription, stretching techniques and more. 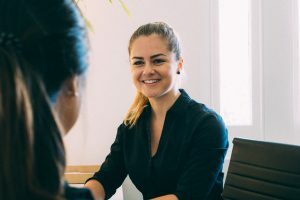 Esther also currently works with Melbourne Storm and Melbourne Victory sporting clubs and is thus experienced in working with sports medicine related complaints. Learn more about myotherapy here. For relaxation and rejuvination, we recommend seeing our lovely massage therapist Irene Fitzpatrick. Irene has a very long history of working in the massage industry and is well suited to patients wanting a deep, restful massage. She is also an experienced Reiki practitioner as well. To find out more about Irene or how she works, please visit see this page. How can I book an appointment near Strathmore? If you would like to make an appointment or simply like to enquire, please contact our lovely reception staff during office hours at 03 9337 8572 or email the clinic at admin@essendonnaturalhealth.com.au. We would love to hear from you! We offer online bookings.